What is counselling and Life Coaching? Counselling is talking about your difficulties and feelings with someone who will listen and help you make sense of things. No problem is ever too big or too small to bring to counselling and talking about it can make a big difference. Counselling is also useful if you want to talk about something that is bothering you but you don’t want your family or friends to know, it might make them upset or they may tell you what to do. A counsellor is separate from all of this and sometimes this can help you make sense of your problems or worries without your family being involved. 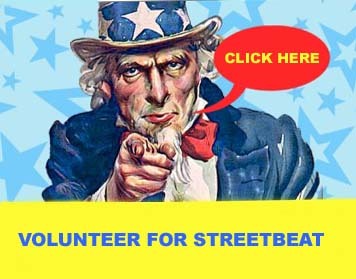 Our service at Streetbeat is free and confidential. Confidentiality: what is discussed in the counselling room is not passed onto anyone else. However, if the counsellor feels that the young person is at risk to themselves or to others she will have to disclose to other professionals such as your GP, Social worker or parent. The counsellor will always get the consent of the young person or tell them what she is doing before passing information on. What kind of problems do young people bring to counselling: bullying, depression, eating disorders, family problems, self-harm, anti-social behaviour, sexuality, suicidal feelings, maybe you hate your body, problems committing to school work, parents breaking up, a death in the family. Life Coaching is about looking to the future. It’s a process to look at what is happening right now, looking at what obstacles and challenges that might be standing in your way and help choose a course of action to make your life what you want it to be. How do you arrange an appointment? Sessions are also available for parents. These can be arranged in the schools or at Streetbeat.